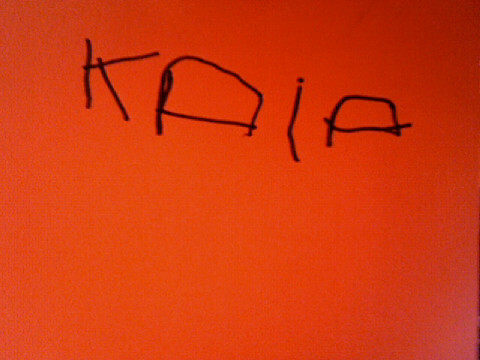 I am learning how to write my own name. Next step my first novel? Great job, Kaia. Soon you will learn to write many more words and than you can put them together to make stories.